When we think of high school, we often think about course credits, diplomas and transcripts. These can leave a homeschool mom feeling overwhelmed – how can we provide our child with these documents usually “officially” created by a school? 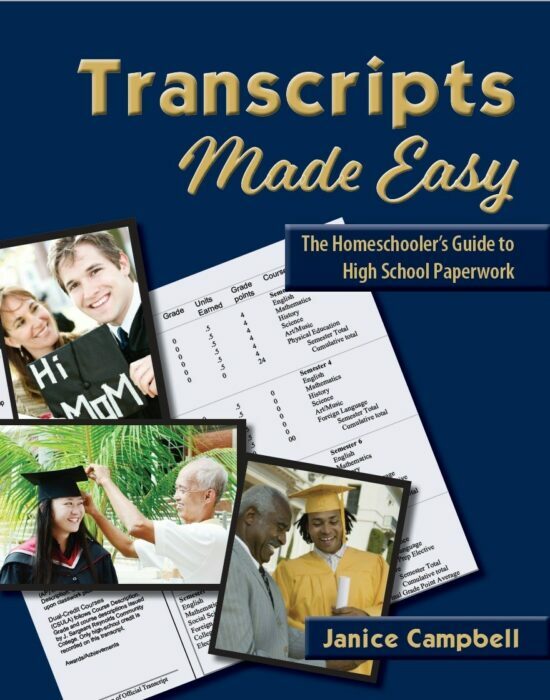 Transcripts Made Easy: The Homeschooler’s Guide to High School Paperwork from Everyday Education has all the answers. 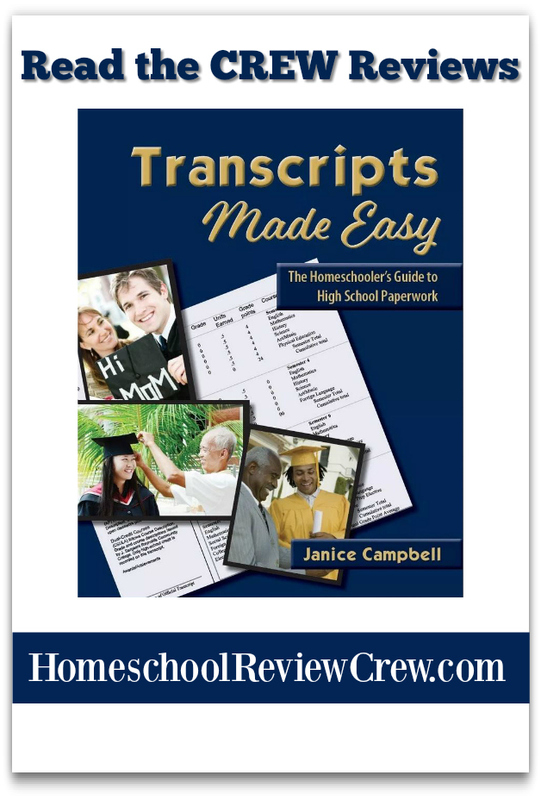 Homeschool mom Janice Campbell wrote Transcripts Made Easy after she had to create a transcript for her oldest son. She’s since done more high school paperwork, researched transcripts and college admissions extensively, and updated her book. Transcripts Made Easy is in its fourth edition and includes bonus chapters about special needs homeschooling and skills your child needs to succeed in their first year at university. Janice walks you through the entire process of documenting your child’s high school education, whether you are reading Transcripts Made Easy before your child starts high school or the day before your child needs a transcript. She includes examples and blank templates you can fill in, as well as information about what exactly colleges are looking for in transcripts – and why you, a homeschool mom, can create this document for your child. Who will see the transcript? What are the parts of the transcript? Transcripts Made Easy is available as a print edition for $24.95, ebook edition for $19.95, or as a print and ebook bundle for $34.95. Janice also offers email support with her book, so if you have any questions during or after reading, you can email her for more information! Check out the Crew Reviews below to see how this book helped other homeschool moms! A big thank you to Bonnie Way of the Koala Mom for writing this introductory post.